The angel wing is for our loved ones, wear it as a lucky charm and let it remind you that you are protected and loved. This detailed Engelsrufer pendant is handcrafted from 925 Sterling Silver with Rhodium plating and white crystal stone embellishment. 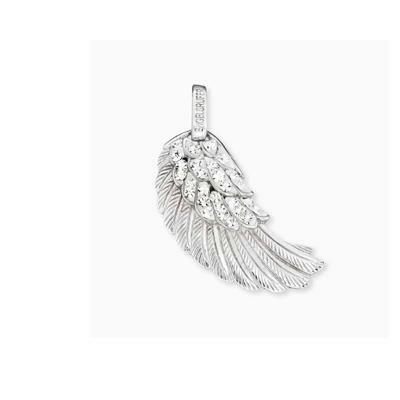 This beautiful pendant is designed to be worn with your Angel Whisperer, after all, what's an angel without wings?